Beyond 50: American States That Might Have Been In his book Lost States, Michael J. Trinklein reimagines the U.S. with the many states that never made it into the republic: Transylvania, Forgottonia, and Texlahoma, to name a few. It's been over half a century since Hawaii joined the United States and the 50th star was added to the flag. And — except for the occasional discussion of Puerto Rican statehood — there hasn't been much serious talk about expanding beyond 50. As for unserious talk, that has never been in short supply. 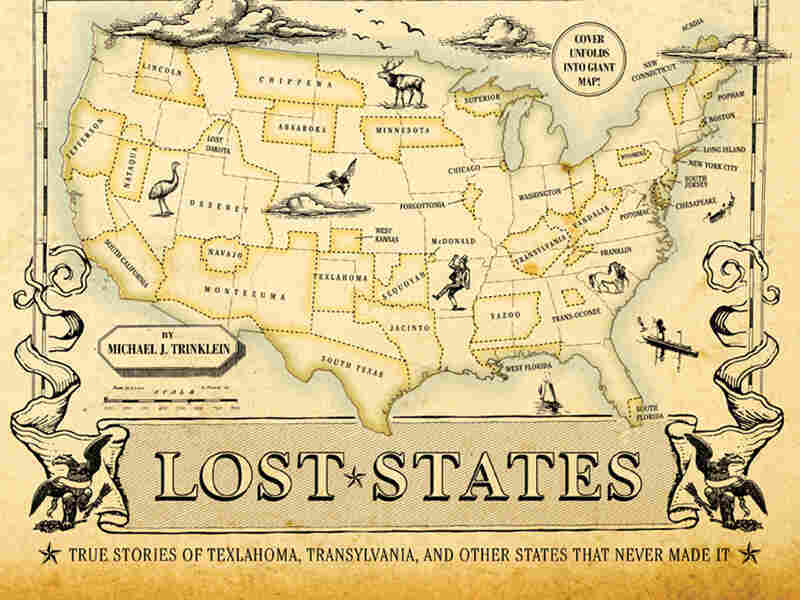 And Michael J. Trinklein has assembled the mostly unserious, but sometimes plausible ideas of expansionists, secessionists, and various other -ists in his book Lost States: True Stories of Texlahoma, Transylvania, and Other States That Never Made It. 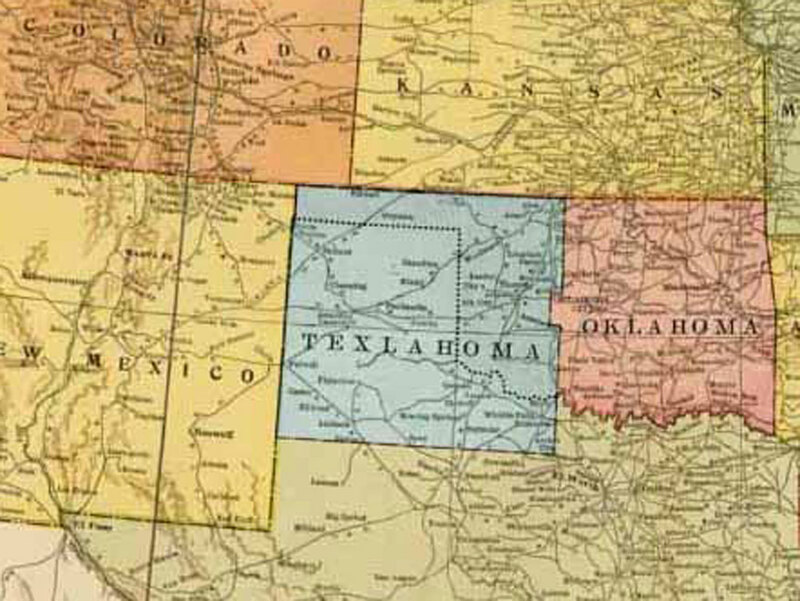 Texlahoma would have comprised 46 counties in Texas and 23 in Oklahoma. The goal? Better roads. Thomas Jefferson had many ideas for Midwest state names that never materialized. One of those was "Sylvania," which would comprise what today is the Upper Peninsula of Michigan and parts of Minnesota and Wisconsin. Sylvania was a popular suffix back in the day and means a "pleasant woodsy area." William Penn wanted to use it, too, but settled on Pennsylvania in the end — a name more representative of his family legacy. American pioneer Daniel Boone also had a thing for the "sylvania" suffix. If he'd had his way, Kentucky would have been called Transylvania and we'd be placing bets on horses at the Transylvania Derby. Boone hoped to call the colony's capital Boonesborough, but much to the explorer's chagrin, North Carolina and Virginia voted against Transylvania's existence. Almost smack in the middle of the country could have been a state called Forgottonia. Comprising 14 counties in western Illinois, Forgottonia was an idea created by a group of disgruntled citizens who felt, well, forgotten. In the early 1970s, the would-be state's residents proposed an interstate that would run from Chicago to Kansas City, but they were rebuffed and so decided to try to split off. Other citizens who have felt neglected by their state governments have followed the urge to create their own. In the early 20th century, residents of northern Texas wanted more roads to drive their new Ford Model T's, so the story goes, so they teamed up with western Oklahomans to suggest a state called Texlahoma, another "failed state." At this point, if the addition of a 51st state to the United States of America seems far-fetched, consider that Barack Obama is the first American president not to have seen a new state added in his lifetime. The Mormon church was born in New York in the 1820s. So how did it end up in Utah? Almost from the beginning, the church's unusual beliefs led to persecution, and members kept transplanting themselves to avoid harassment. Things got especially messy when founder Joseph Smith received a revelation that he should start taking more wives. Lots more. Soon he was encouraging other Mormon men to do the same. This diminished the available supply of comely young women, which upset a lot of non-Mormon men, especially the bachelors. For this reasons — among others — an angry mob killed Smith in 1844. This left master-organizer Brigham Young in charge. He solved the angry-bachelor problem by deciding to move the Mormons west to a place that had no white settlements. Thus began the Mormon exodus to the Salt Lake basin in the mid-1840s. It wasn't long before Young petitioned Congress to create a new state for his people. Although the Mormon leader wanted a giant property, he skillfully drew boundaries to avoid conflicts with established outposts such as the California gold fields or Oregon's newly popular Willamette Valley. And he made sure to grab a bit of coastline in southern California. At this point in history, southern California was pretty empty. Hard to imagine. The Mormon church originally wanted to call Utah Deseret, a name found in the Book of Mormon. The government regretfully declined. Young's super-sized state never came to be, mostly because of an anti-Mormon bias then pervasive in American culture. (This was long before the Osmond family taught us that Mormons are super-sweet folks with great teeth.) After a few decades, the Mormons abandoned polygamy (sort of), and Congress finally offered statehood. 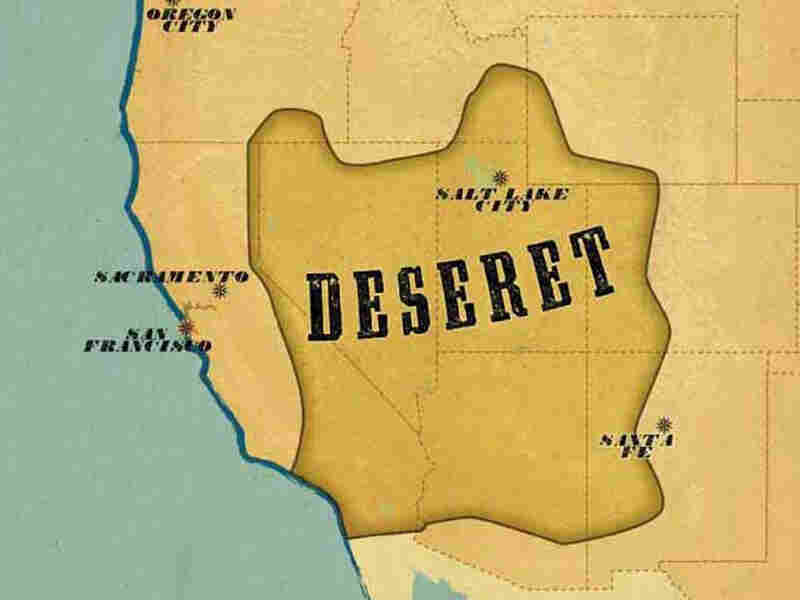 Citizens overwhelmingly preferred calling their new state Deseret, a name found in the Book of Mormon. But the federal government chose Utah, after the Ute tribe. The state's final size was much smaller than the Mormons had originally hoped. The entire western half of the Mormon empire was sliced off to form Nevada, establishing one of the oddest geographical juxtapositions in the United States. Could two states like Nevada and Utah be more different? Is it a joke that they are adjacent? In Utah, it's really hard to get a drink. In Nevada, it's really hard not to get a drink. Long Island is, well, a long island. It's pretty big. And given all the shrimpy states in the American Northeast, it's entirely reasonable to expect that, at some point, Long Islanders would consider statehood. The idea was seriously discussed in 1896, when The New York Times ran an article about the possibility. The newspaper interviewed sugar magnate Adolph Mollenhauer, who offered one of the greatest quotes ever to justify statehood: "We're tired of bosses and bossism." I didn't even know bossism was a word, but it fits in nicely with some other nasty "isms," namely, fascism, Nazism, and communism. All four isms generally have the same definition: a group of bad guys who force the rest of us into submission. And in Long Island of the 1890s, the bad guys in question were legislators from places like Buffalo, Syracuse, and Manhattan. They spent Long Island's money without looking after its interests. Or at least that's how Mollenhauer saw it. Statehood fervor didn't ignite in the 1890s, but the idea was rekindled a hundred years later. Curiously, the issues hadn't really changed. Long Islanders complained that they funded 17 percent of the state's school budget, but got back only 12 percent. Long Island does indeed have many of the requisites needed for statehood. Brooklyn and Queens are on the island, making its population large enough. In fact, it has more people than twenty states. And, geographically, the island is plenty large. At 1,401 square miles, it's bigger than Rhode Island and approaches the size of Delaware. Plus, Long Island has a vibrant and diversified economy. Even though statehood has found support on the island, it's unlikely the rest of New York state would ever let it go. It may be unfair, but I guess that;s how it is with bossism. 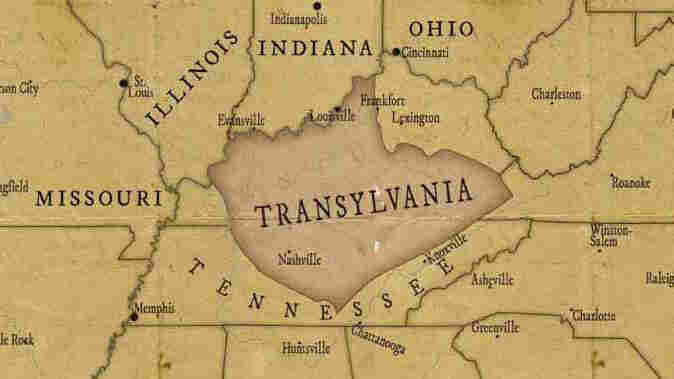 Yes, Transylvania is the name of a place in eastern Europe where Dracula is said to have lived. But that's not what we're talking about. The American Transylvania overlays Kentucky. And the name isn't as odd as it might seem. The word sylvan means "a pleasant woodsy area." It was a popular suffix during the colonial era; think of Pennsylvania, the pleasant woodsy region originally owned by William Penn. Back in the early 1770s, most Americans lived east of the Appalachian range. The mountains were hard to cross, and, frankly, the western lands were kind of scary. Then Daniel Boone enters the story. He offered Cherokee leaders a couple wagonloads of guns, clothes, and cooking utensils in exchange for a huge tract located west of the Appalachians. Just getting to this new land was a burden; in fact, several in Boone's company got scared and ran home, while others died in skirmishes with the native tribes. But in 1775 the expedition arrived on the Ohio River and established the town of Boonesborough. The Transylvanian settlers set up a government of sorts and then sent a representative named Jim Hogg to the Continental Congress. But the Continental Congress wasn't too ex- cited about adding any freelance states. Virginia especially was opposed, since it claimed the same land. An interesting aside: One of Boone's first acts in Transylvania (now Kentucky) was to establish special rules for breeding horses, thus launching the beginning of the region's fame as equestrian country. Just think: If things had gone a bit differently, each spring horse aficionados might be enjoying the Transylvania Derby. Anyway, when the Continental Congress failed to recognize Transylvania, the idea died. Until a few years later, when a different set of folks formed Kentucky. In the early twentieth century, everyone was falling in love with the automobile. The new-fangled machines were fun, useful, and increasingly affordable. But cars need good roads, and in pre–World War II America, the roads were awful. People in rural places such as northern Texas and western Oklahoma were especially desperate for decent roads, but politicians in the faraway state capitals weren't listening. And so the Texlahoma proposal was created. As designed by Oklahoman A. P. Sights, forty-six counties in Texas and twenty-three in Oklahoma would join to form Texlahoma. Legislators of the new state could focus on building better roadways — and all the other services that these "forgotten" counties believed they weren't getting. The proposal did get some traction. 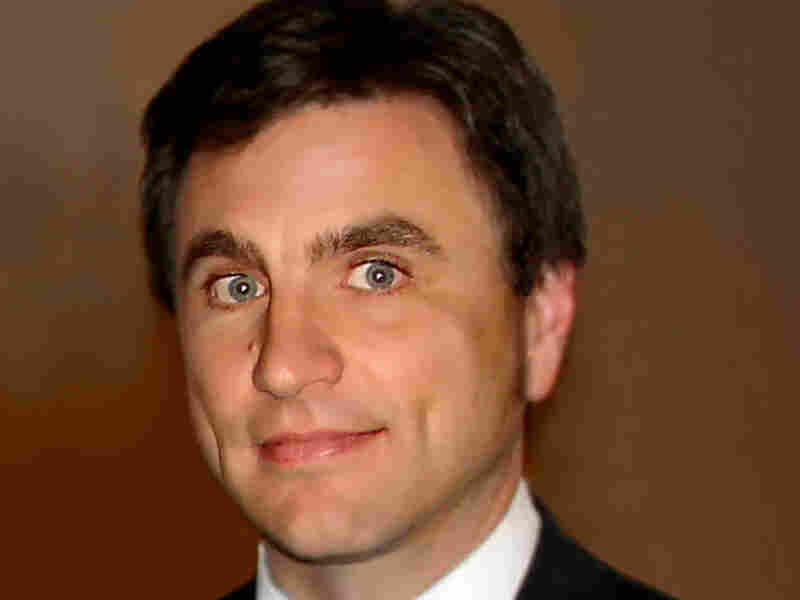 Sights claimed that two-thirds of the politicians he polled favored the idea. The New York Times, although skeptical, covered the plan in significant detail. In addition, the American vice pres- ident at the time, John Nance Garner IV, was a big supporter of carving Texas into new states. A Texan himself, Garner probably just wanted more senate representation for his home state. Then again, Garner did have a penchant for unusual causes. He zealously championed naming the prickly pear cactus as the Texas state flower. He lost that vote (to the bluebonnet) and was thereafter dubbed "Cactus Jack," which has to be the coolest nickname of any U.S. vice president. The chief problem with all the proposals to split Texas was that the residents of the new state would no longer be Texans. That's a huge stumbling block to a population fiercely proud of its heritage. For that reason — as much as any other — Texlahoma never came to be. How many Dakotas are there? For the longest time, there was just one huge Dakota Territory. And today, everyone knows that the United States has two Dakotas, North and South. But for a few years in the mid-1800s, there was yet another: a tiny patch of land hundreds of miles from its bigger siblings. Here's the story: Back when Dakota was still a territory, everyone understood that the enormous parcel needed to be sliced up into states. First Montana was carved out, then Idaho, then Wyoming. When all the chopping was done, there remained a tiny piece left over — at the point where Montana, Idaho, and Wyoming meet. Officially, this little tidbit still belonged to the Dakota Territory, even though the nearest piece of the trimmed-down Dakota was hundreds of miles away. In retrospect, it would have been a great place for outlaws to hide out since there were no lawmen around. But in the 1860s there probably wasn't anyone living in Lost Dakota. It was only about one-third the size of Manhattan and was extremely remote. During that era, all U.S. territories expected to become states at some point, although no one proposed such a thing for this desolate patch of forest. Even today, the land remains inaccessible. There's no road, not even a decent path. However, it does have its share of bears, not to mention the occasional buffalo herd. Yes, even today, buffalo roam the region, which is part of the Yellowstone ecosystem. I'll admit, this little geographic hiccup isn't all that significant, but the name "Lost Dakota" is rather evocative. The anomaly lasted only a few years. In 1873, the patch was attached to Montana and became part of Gallatin County. 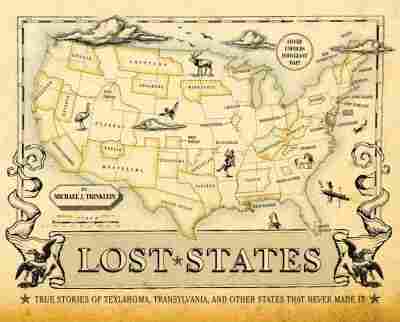 From Lost States: True Stories of Texlahoma, Transylvania, and Other States That Never Made It by Michael J. Trinklein. Copyright 2010 by Michael J. Trinklein. Reprinted by permission of Quirk Books. All rights reserved.